Help penguins Ringo and Zayle make their way over slippery ice to find their way home to their nests! 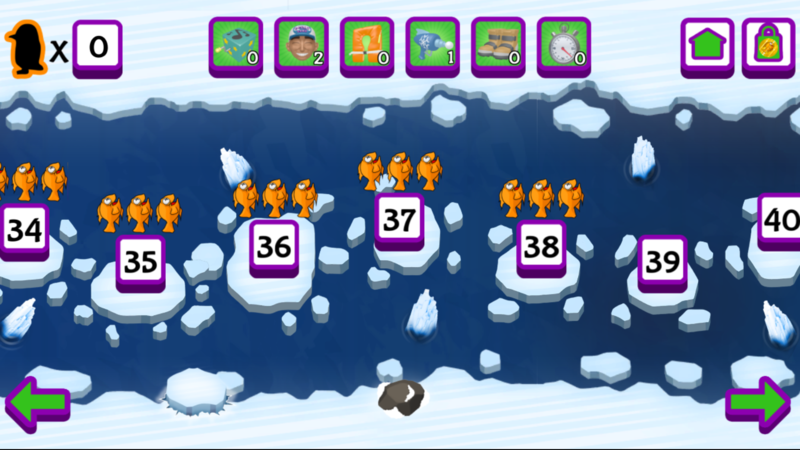 Penguin Problems is a physics-based puzzle game. Players tap the right side of the screen to move Ringo and the left side to move Zayle. The faster they tap the more momentum the penguins gain on the slippery ice. 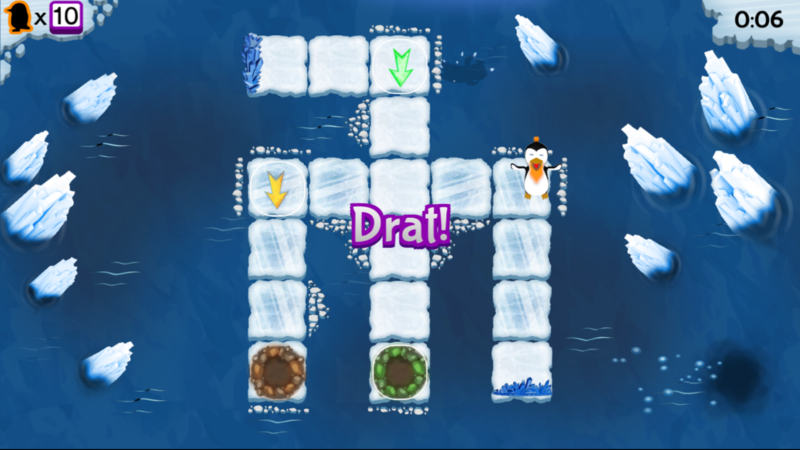 Different types of ice blocks can either speed the penguins up or slow them down. 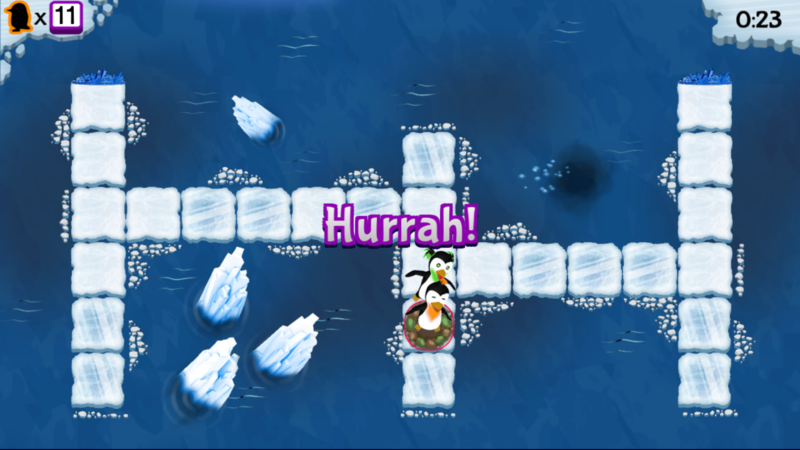 If players tap too fast the penguins can slide right off the edge of the ice. 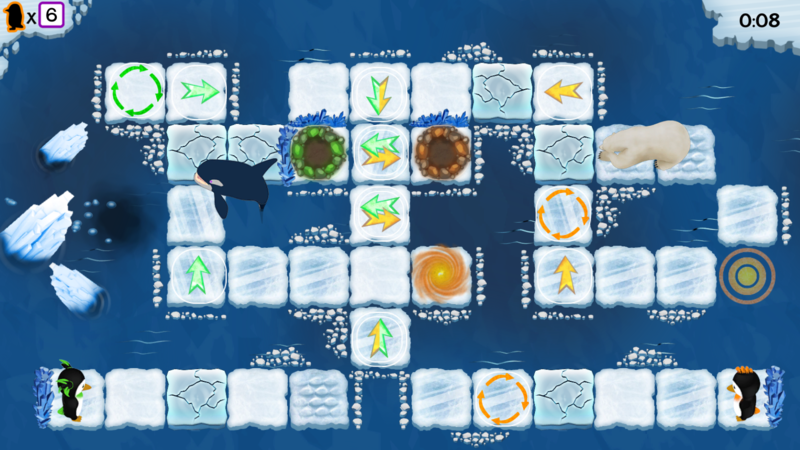 Tap too slow and they might encounter obstacles like thin ice, grumpy polar bears and leaping orcas. If players beat the gold time for each level they get a treasure chest and a chance win one of the Special penguin boosters or even gold coins. 45 fun challenging levels to master! © 2016 MMOVENTURES, INC. All rights reserved. MMOVENTURES and the MMOVENTURES Logo are trademarks or registered trademarks of MMOVENTURES, INC. Penguin Problems and the Penguin Problems logo are trademarks or registered trademark of MMOVENTURES, INC. All other trademarks are the property of their respective owners. All rights reserved.